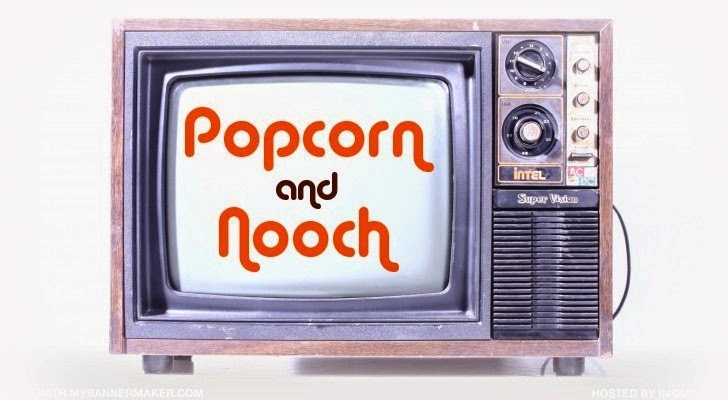 Popcorn and Nooch: What About Bob Ka-Bobs? We watched this last night with our Ka-Bobs and I hadn't seen this movie, probably since the 90's. I remembered it as a silly comedy, which it is, but I didn't remember how hysterical it is! 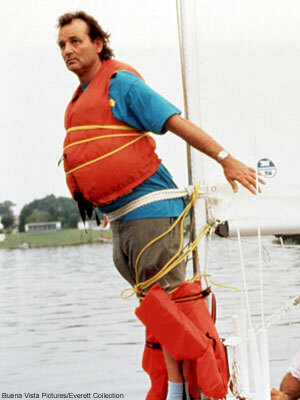 I enjoyed myself so much last night with this movie, and Bill Murray always cracks me up. 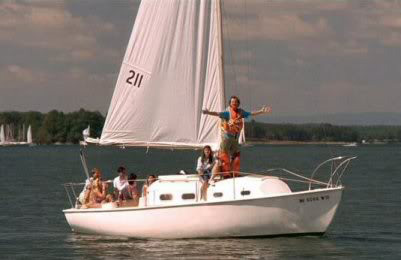 It's a perfect summer movie, nostalgia movie, and family movie. 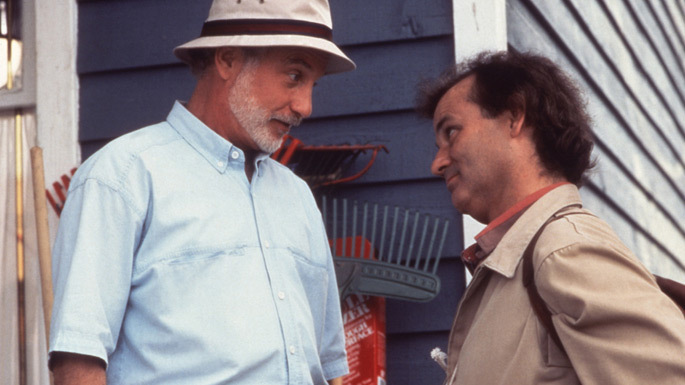 Bill Murray plays Bob, a neurotic guy who's anxieties get the best of him sometimes. He found a doctor who can help him, but refuses to because he's on vacation. Bob tracks him down and becomes a persistent annoyance to Dr. Marvin, but an absolute delight to his family and anyone else he comes in contact with. The irony is, Bob improves while Dr. Leo self-destructs. 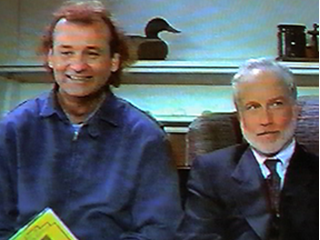 Bob credits his growth to the genius of Dr. Leo Marvin, while Dr. Marvin credits his degradation to Bob. When really we watch these men step by step create their own fates. Very existential for a sweet little 90's comedy. 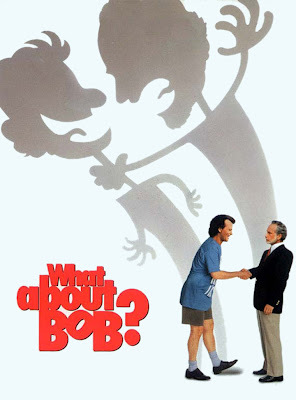 From 1991, What About Bob? "Is this some radical new therapy?" "Hi, i'm Bob. Would you knock me out please? Just hit me in the face." "What if I'm looking for a bathroom, I can't find one, and my bladder explodes?" It's a summer movie, and kabobs are very summer AND it's Father's Day! A big grilling day, perfect for dad to throw on the grill. Put your skewer items in the marinade for a couple of hours in the fridge, put them on your skewers, then grill. I don't have a grill, so I just cooked them in a pan and put them on the skewers after I cooked them. I served them over coconut arborio rice. Add water, salt and half of the coconut milk to a pot and bring to a boil, add rice and simmer until absorbed. then add the rest of the coconut milk simmer for about a minute or 2. 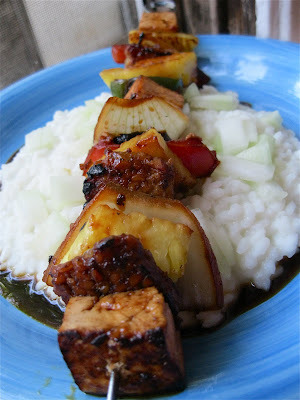 I topped the Ka-Bobs with a simple teriyaki glaze. stir the ingredients and heat on medium in a sauce pan until reduced to a glaze. Drizzle over top of the Ka-Bobs. This recipe serves about 2 hungry people. 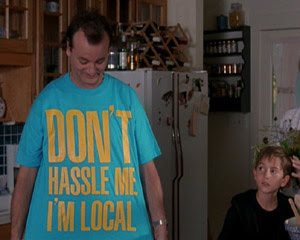 Don't hassle me I'm local! Great combo! These kabobs are not to be missed. they look great! do you press your tofu?